If you suddenly couldn’t communicate or take care of yourself, who would make important decisions for you? Who would decide the course of your medical care, and who would manage your money? If you died, who would decide what to do with your hard-earned possessions? Nobody likes to think about becoming ill, injured or disabled, much less talk about it with other people. But if you don’t make your wishes known in advance, while you’re still healthy enough to make decisions, your family members and friends won’t know what to do. Putting your wishes in writing prevents confusion, uncertainty and conflicts, and it reassures your loved ones during an emotionally difficult time. Here’s a brief overview of the different tools that help you make your wishes known: advance directives (also called living wills), powers of attorney and wills. For more information specific to the laws in your province or territory, and to fully understand the risks and benefits of these tools, be sure to seek advice from a lawyer, preferably one who specializes in wills and estates. He or she will help you prepare your legal documents and ensure they are worded properly to reflect your wishes. An advance directive, also known as a living will or an advance care plan, isn’t considered a legal document in Canada, but it is a useful tool for describing your wishes related to medical care – for example, your treatment preferences, including which medical interventions you don’t want to receive (examples could include cardiopulmonary resuscitation (CPR), a ventilator or artificial feeding). Talking about these decisions with your loved ones will help them understand your wishes. 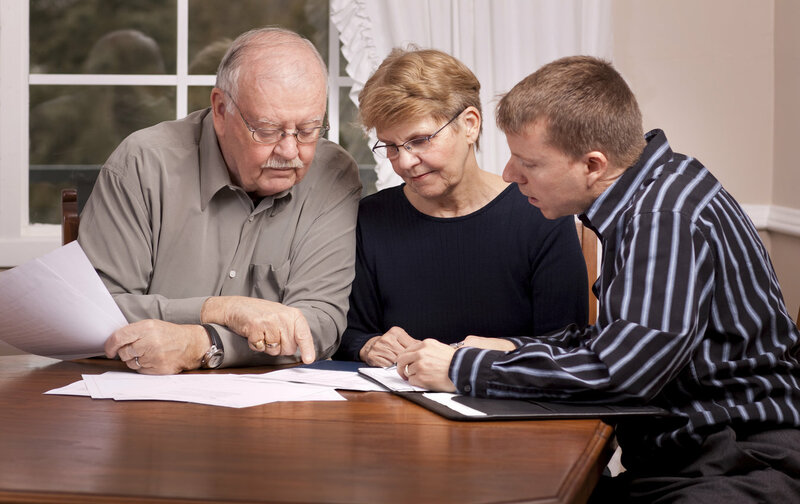 Ask a lawyer about including these instructions in your power of attorney. General power of attorney: This gives someone the ability to make decisions about some or all of your finances and property if you become mentally incapable of doing so. The person might, for example, write cheques, pay bills, manage your safety deposit box or sell real estate on your behalf. If there is something you don’t want your attorney to be able to do, you can specify this in the document. This type of power of attorney has different names depending on location; in Ontario, for example, it is called a power of attorney for property. Health-care power of attorney: This gives someone the authority to make decisions about health and personal decisions for you if you become mentally incapable of doing so. The “attorney” could make decisions about your medical treatment, living arrangements, and meals, for example. (The person you choose for this responsibility does not have to be the same person who looks after your finances and property.) Other names for this type of document include power of attorney for personal care, health directive, health-care proxy, representative agreement or mandate. You should prepare both types of power of attorney documents – your attorney for properly can’t automatically look after your personal care, and vice versa. Powers of attorney come into effect if you aren’t mentally capable of making decisions, and they are no longer effect if you regain your capacity to make decisions or if you pass away. That’s when your will comes into effect. “A will is a document that tells others how you want your property and possessions to be distributed after you pass away,” explains Harpreet Wadehra, CPA, CA, principal at Wadehra PC, an accounting firm in Brampton, Ontario. Harpreet assists clients with estate planning and believes that it starts with a properly drafted will. “A will is one of the most important documents a person can create,” says Harpreet. “A will is a way you can ensure what you worked hard for is distributed the way you want it to be.” Despite this, people are often reluctant to discuss this topic. “We spend our entire life controlling everything around us, but when it comes to making and updating a will, it seems as if we don’t want that control. We avoid any topics related to dying or death,” says Harpreet. If you die without a will, this is called “dying intestate.” Someone else – such as the province – may determine how your estate assets are distributed. “This process can be both expensive and time-consuming,” says Harpreet.